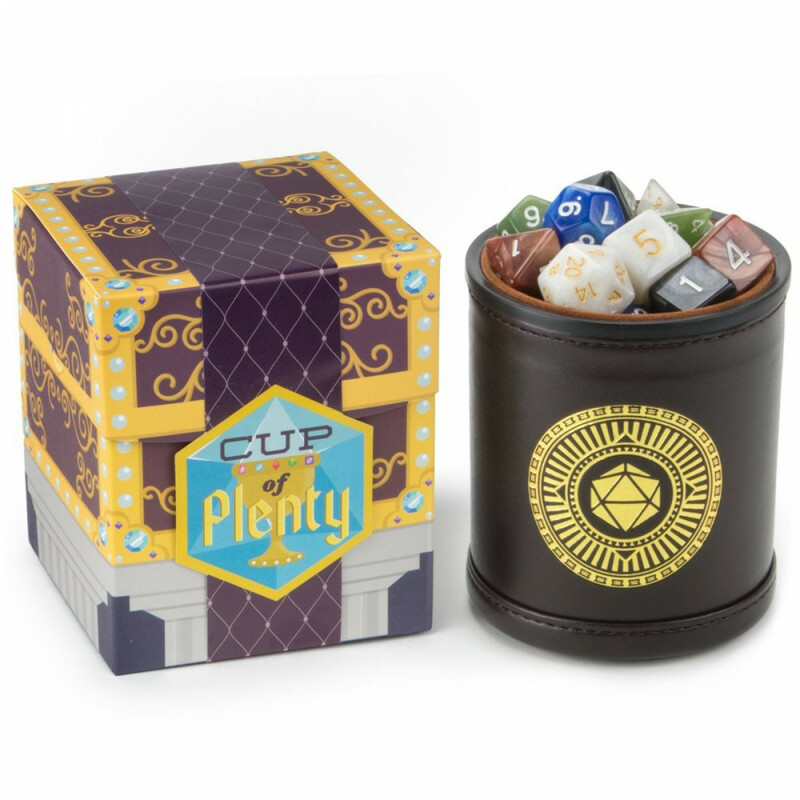 The Cup of Plenty is a brown bicast leather dice cup with a handsome golden foil stamp and a classic orange velvet interior. Each cup comes filled with five of our deluxe pearlized treatments: Smoke, Horizon, Serpent, Forbidden Treasure, and Copper Sands. For those keeping score, that's a quick injection of 35 polyhedral dice in standard sets of seven: d4, d6, d8, d10, d00, d12, and d20. Excitingly, each cup comes in a reusable, regal red treasure chest box. 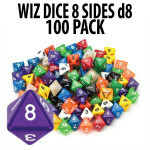 Store minis, tokens, or more dice (we all have more dice). 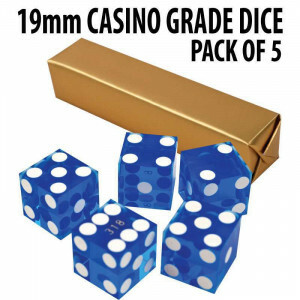 Not enough dice? 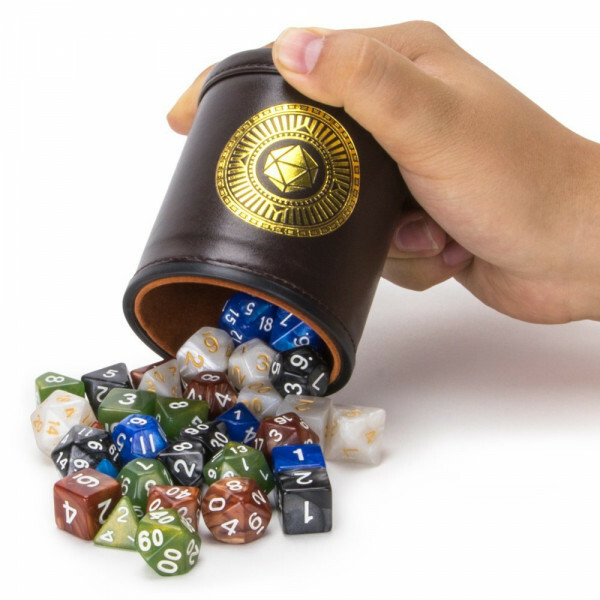 Grab the Cup of Wonder for an additional five polyhedral dice sets in a black leather dice cup. 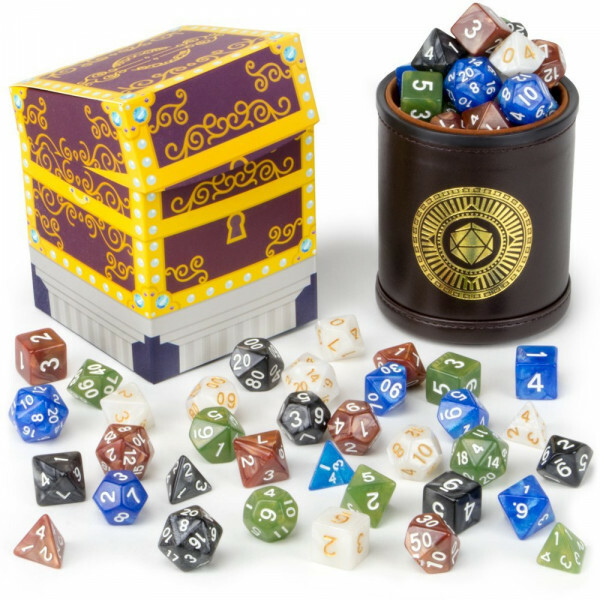 Short answers: more dice, cool dice cup, and more dice, not necessarily in that order. Long answer? 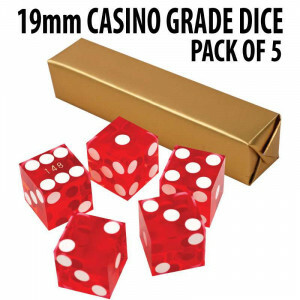 Five sets of dice will suit many adventuring parties, often with an extra set for the DM. Buying a Cup of Plenty, a screen, and some books is pretty much all you need to get a tabletop game started (friends sold separately). On top of that we've lovingly packed each Cup of Plenty into a regal red treasure chest box for you to keep around for your own treasurely purposes. That's 35 dice, a nice foil-stamped dice cup, and a cool storage box. A pretty impressive little package, if we do say so ourselves.